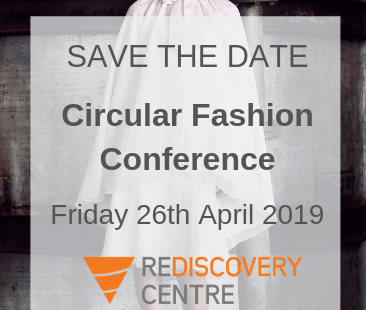 The Rediscovery Centre is delighted to announce that we will be hosting the Circular Fashion Conference on the 26th of April 2019 in the National Centre for the Circular Economy in Ballymun Dublin. This conference will present leading industry experts to bring you the latest information about fashion in the circular economy. The Rediscovery Centre will be announcing our exciting list of speakers in the coming weeks. Save the date for the 26th of April!